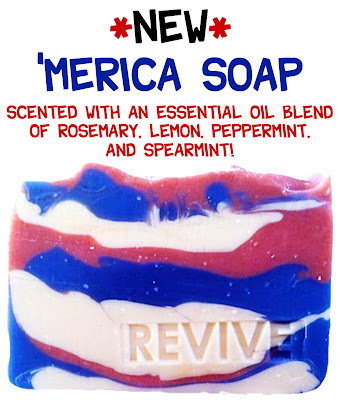 Revive Bath & Body: Ladies & Gents, We Have A Winner! Ladies & Gents, We Have A Winner! Congratulations Lisa! You are the winner of our 'Merica Soap PIN IT TO WIN IT contest via Pinterest! I have sent to you a winner's email. Please respond in 48 hours or I will have to randomly select a new winner! Thank you to everyone to participated in our first ever Pin It To Win It contest!